Think you have a hotel horror story? Trivago, a hotel price comparison site, has one better. A Google Penguin penalty trashed their search visibility. In January, about 40% of their keywords were in the top 10. But in February, only 4.77% remained. Read why Trivago’s travels may have come to a halt. 2.2 Have Trivago’s Competitors Suffered a Similar Drop? 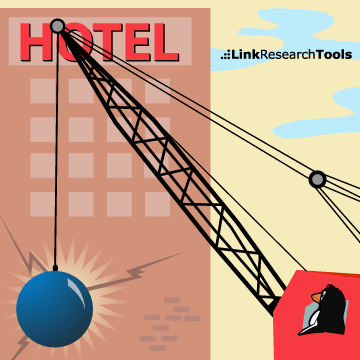 3.1 How Does Trivago’s Link Profile Look Against Its Competitors? 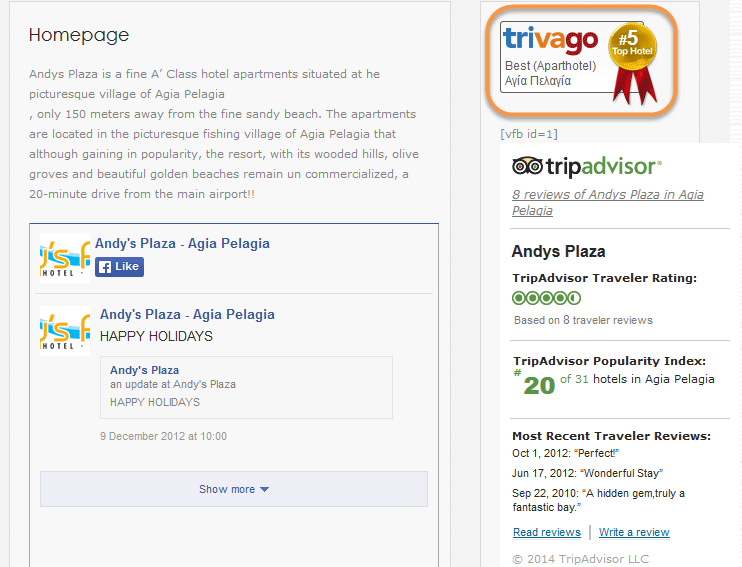 3.2 Sitewides Seem Common, But Are They Excessive for Trivago? 3.3 Are Trivago's Links Too Strong? 3.4 Has Trivago Built Too Many Links with Over-Optimized Anchor Text? 3.5 Has Trivago Overused Widget/Award/Badge Links (Image Links)? 3.13 Spammy Links Compared to Their Competitors? Cockroaches in beds, stained sheets, thin walls...we've all had terrible hotel experiences. Unfortunately for Trivago, they're having an even worse time on the receiving end of a Google Penguin penalty. In January, nearly 40% of their keywords were in the top 10. But in February, only 4.77% remained in the top ten. Through hidden image links, widget links, paid links, and more, Trivago's travels may have come to a halt. If you stand out like a sore thumb, you’ll eventually get hit, and then a sore thumb will be the least of your worries. 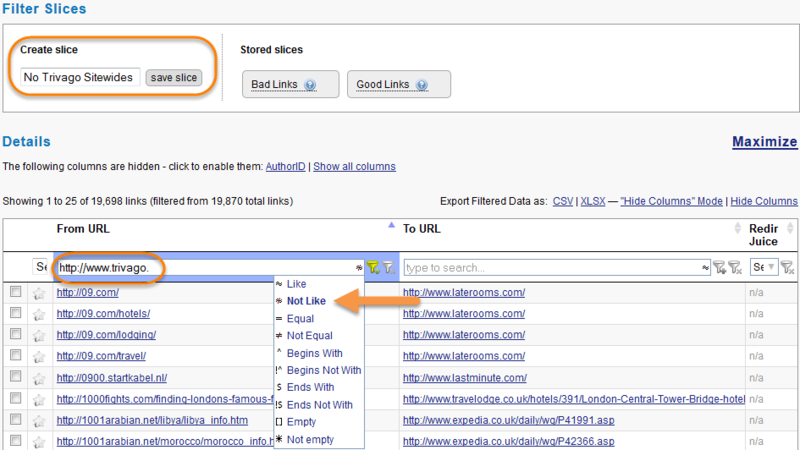 Alex King exposes how even strong-looking links can have a devastating impact if overdone. 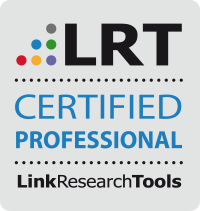 We look forward to your feedback and always appreciate you sharing the work of our LRT Certified Professionals. 3.5 Has Trivago Over-Used Widget/Award/Badge Links (Image Links)? This case study has been several months in the making after I spotted that Trivago.co.uk sharply fell in rankings shortly after Penguin 2.1 in October. This actually turned out to be a small blip because it returned the next week. However, before I knew its visibility had returned back to normal, I did a thorough investigation and found some pretty poor links that made me wonder why Trivago hadn’t been affected after all. Fast forward a few months and this time it looks like Trivago has really been hit hard, which you'll see in just a minute. Trivago has been doing a lot of TV advertising here in the UK over the last 12 months, so what exactly went wrong online? In this case study, I hope to answer that question. The Searchmetrics visibility graph below shows a pretty hard and sharp fall. This time, I waited a few weeks to ensure it was a real drop – unlike last time. In the screenshot below, you’ll also notice a gradual decline in visibility before the drop. Another way of looking at this is by checking the positional spread. You'll see the proportion of keywords in positions 1-3, 4-6, 7-10 and 11-20 have decreased, and those in positions 31-40 and 41+ have increased significantly. To give you an idea how significant this is, the percentage of keywords Trivago.co.uk had in the top 10 previous to the drop was 39.8% (30th Jan 2014) and now, at the time of writing, they have only 4.77% of their keywords in the top 10. 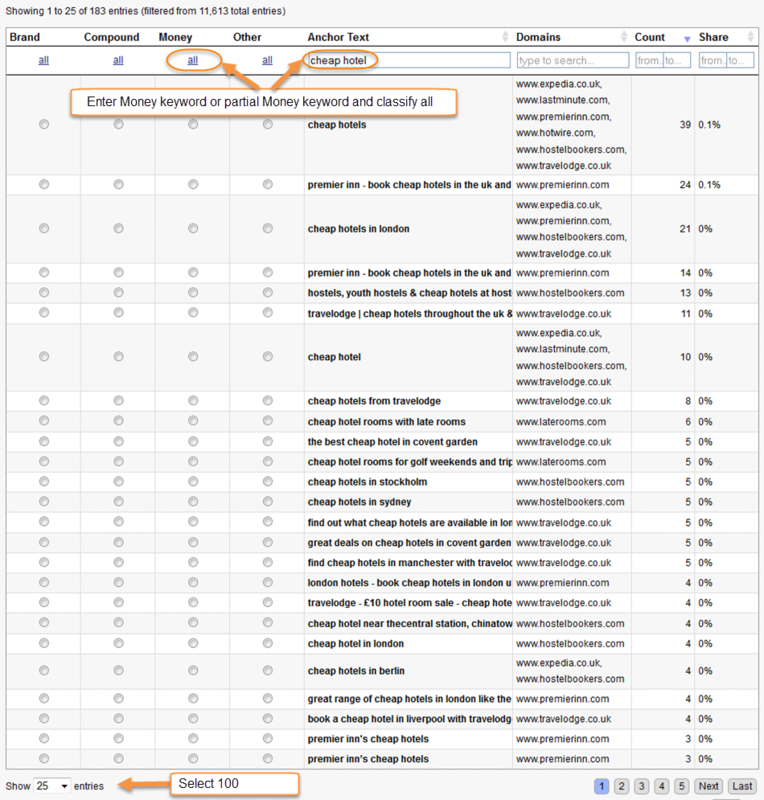 Conversely, keywords appearing in positions lower than 31 has increased from 21% to 64.31%. At this point I'm asking myself, "Have any of these competitors been affected to the same extent?" 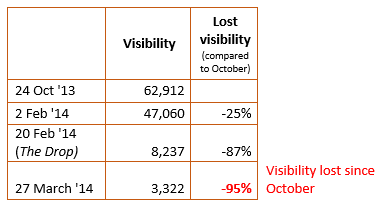 According to Searchmetrics, these competitors have survived without a significant drop in visibility. 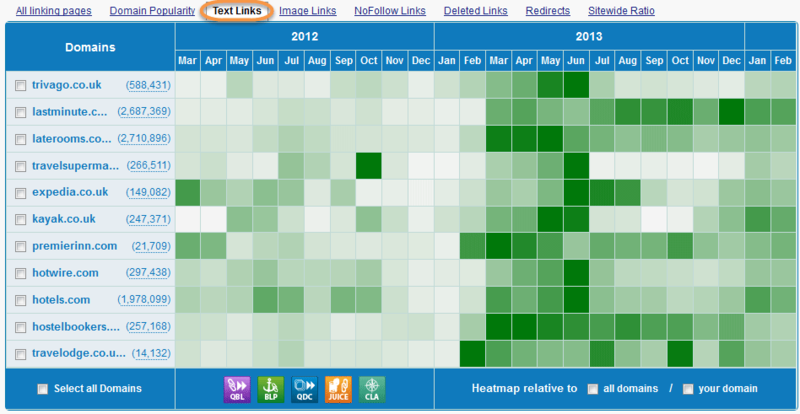 It’s interesting to note the “blip” in lastminute.com’s visibility. The same thing happened to Trivago.co.uk a few months before this drop. Could this be something to watch out for? Aside from this, there haven’t been any significant drops in visibility to Trivago’s competitors. Now that we know this, we can look for differences between Trivago.co.uk’s link profile and that of its competitors. LRT Power and LRT Trust seem okay; I would be concerned if Power significantly exceeded Trust (like lastminute.com seems to). In this quick comparison, the Domain, IP and ClassC Popularity are all lower than the other sites, and yet Trivago still has the third most backlinks – nearly three times as many as Expedia.co.uk. Does this seem natural? Certainly not. However, sitewides do seem to be common amongst the competitors. Let's see how Trivago stands amongst its competitors for sitewides. 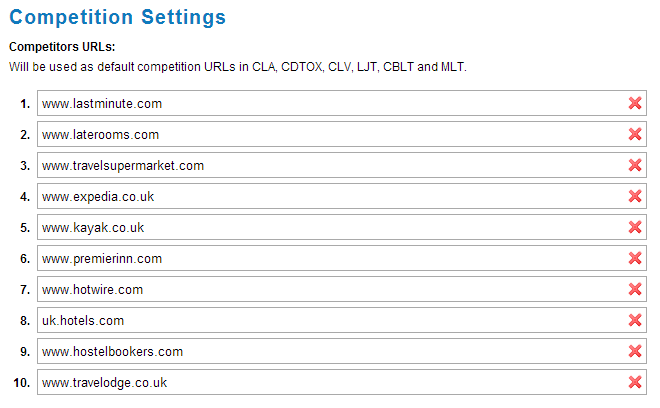 To show this clearly, I'll do a Juice report on these 5 domains and select the Link Ratio Metrics. Trivago’s sitewide ratio for the domain isn’t tremendously out of balance with its competitors. However, it does have an extremely high sitewide ratio for its homepage. 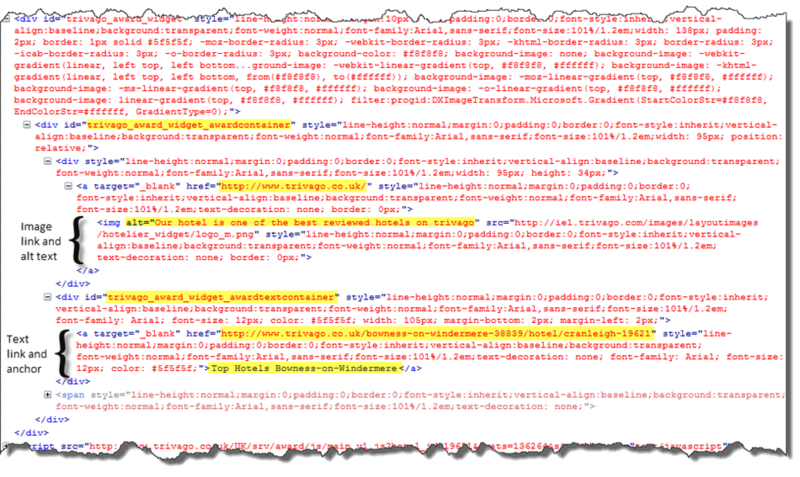 So, sitewide links could be excessive, and we’ll have to revisit this later in our analysis. To find this out, I’ll need to look at whether Trivago stands out compared to its competitors. I’m going to use the Competitive Landscape Analyzer (CLA) to do this. For the CLA, I'm going to add some more competitors to the mix to make the comparison more valid. I've selected 10 competitors through using the “Find Competing Pages” feature. To save time, I've set up a “Trivago” project folder and added all 10 competitors to my “Competition Settings” for this folder. This means I don't have to enter the entire list each time I do a competitive analysis. Straight away you can see how Trivago has a higher proportion of links from sites with a higher Power*Trust. In fact, 94% of their links come from sites with a Power*Trust of 3 to 12. In addition to this, links from sites with a LRT Power*Trust of 0 and 1 are non-existent. While at 2, they are very much below the average. As this is a Quick CLA, it may not be completely accurate and shouldn't be relied upon for any decision-making. At this point though, Trivago does stand out. As Christoph says, standing out like this is usually not a good idea. Or, as I like to say, "If you stand out like a sore thumb, you’ll eventually get hit, and then a sore thumb will be the least of your worries" ☺. We want to blend in, more or less. Since I want to a get a more accurate and up-to-date representation, I'll start a detailed CLA. Looking at the Power*Trust spread in the detailed CLA, we can see the picture has changed slightly but the initial finding is still present. Trivago has a much higher proportion of stronger links, particularly in the 13 to 21 Power*Trust range. Conversely, they have far fewer links from lower quality domains than their competitors. Could this be a reason for the drop? It may form part of the reason. It does look like there has been a deliberate focus on “stronger” domains at the expense of a nice spread that fits in with its competitors. The next aspect I'd like to look at is anchor text. To get this data, I need to classify all the anchor text. A fast way to do this is to classify in bulk using the filters. Firstly, I would enter “http” in the anchor text filter. Doing so usually brings up all the links that are just the web address, and these can usually be classified as brand links. I’d then enter each brand into the anchor text filter, and classify all as “Brand” keywords. Then I’d read through them and change any of those containing a “Money” keyword to a Compound keyword. You may also want to select the maximum amount of entries (100) instead of the default amount (25). As you only classify the ones shown on the page, this will further speed up the process. 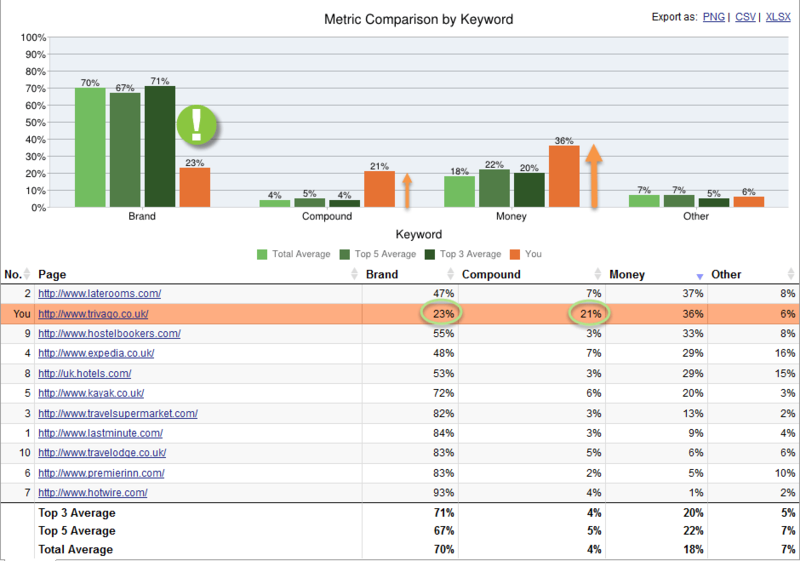 If you're really paying attention, you'll notice there are a couple of Compound keywords (Brand + Money Keyword). I took the screenshot before classifying all the Brand keywords. Quickly scan the list of anchor text to re-classify if necessary. 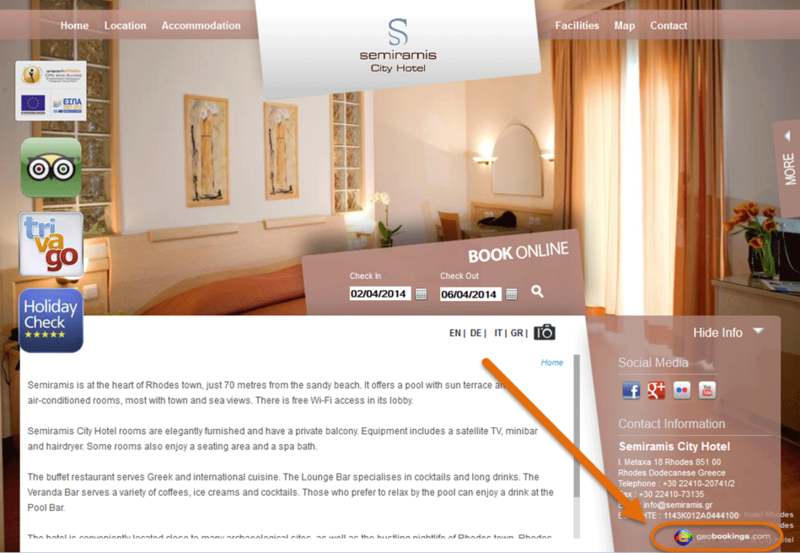 Having Google Translate open in another tab or window will also be useful if you're looking at the travel sector. So, after classification, what can we see? It is clear to see that Trivago has been very aggressive with the use of anchor text. If I didn't know what site we were analyzing I would say that this is a site trying too hard to catch up with the “big brands” in the market by focusing on Money keywords. At 50%, the proportion of Money keywords is more than double the average of its competitors. When you add to this the Compound keywords that make up 21% of its links, then you have 71% of links that could potentially have been manipulated. Trivago has an almost inverse anchor text profile compared with its competitors, the top 5 of which average 71% Branded links. Let's look at these keywords in more detail. I could do this in the CLA report but, as I'd like to look at as many of Trivago's links as possible, I'll create a Backlink Profiler report in which I can get up to 40,000 links. The first thing I notice is that “Hotel United Kingdom” is prominent in the anchor text. Let's see why by looking at all the links with that anchor text. 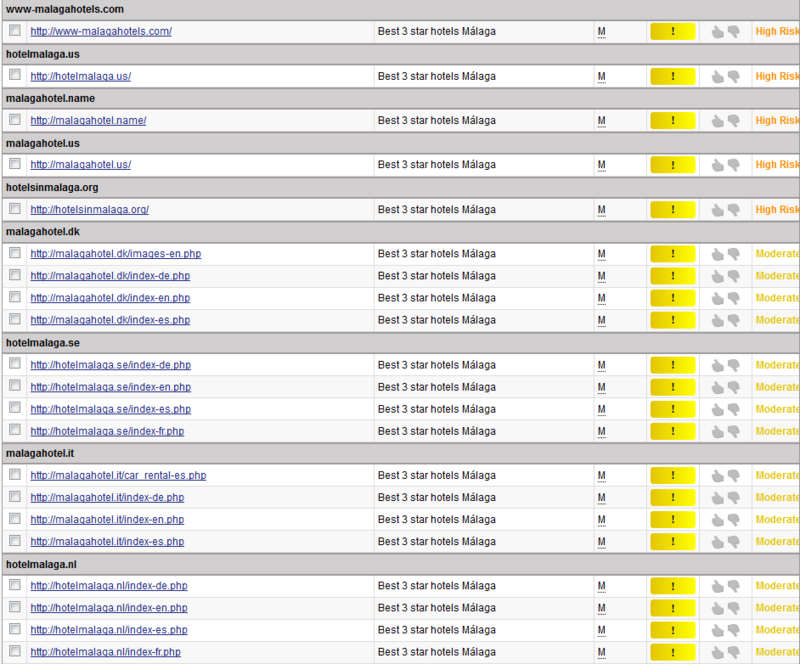 All these links are actually sitewide footer links from their own international sites. This explains the very high sitewide links to the page we discovered earlier. As these sites are all related country-specific websites, it is perfectly sensible to have them there. Using the anchor text “Hotel United Kingdom” may not be the best idea, but it isn't enough to warrant a drop such as this. 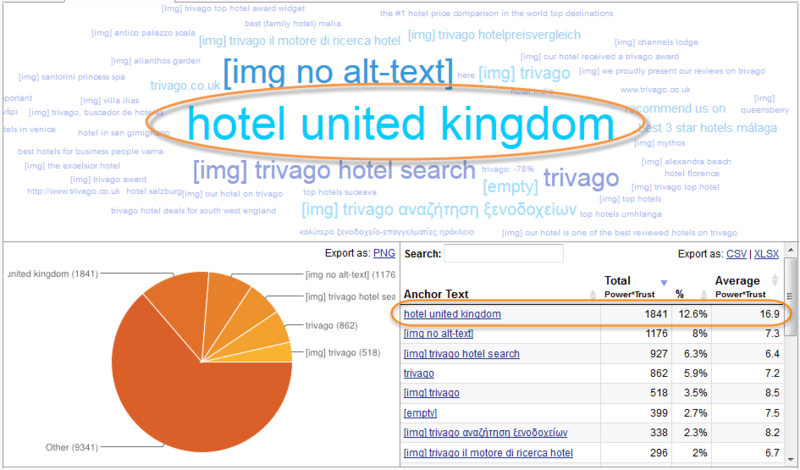 However, classifying “Hotel United Kingdom” as a Money keyword might have skewed the anchor text results shown in the Competitive Landscape Analyzer. I applied the sitewide filter to skip after 3 links, but because Trivago has a lot of international sites (trivago.cn, trivago.it etc. ), I want to exclude them completely to see how it affects the anchor text spread. To do this, I'll need to create a “slice.” This creates a new segment you can analyze on its own. In this example, I want to exclude links from any Trivago site so I clear all filters and then type “http://www.trivago.” into the “From URL” filter, which brings me all the links from Trivago. I then want to exclude these so I click “Not Like” in the filter which excludes URLs containing 'http://www.trivago..” Now I can enter a name for the slice and click “save slice” (DO NOT use an apostrophe in the name as this can cause problems). Your new slice will appear in “Stored Slices.” Now we can see how this has changed the anchor text spread. The proportion of Money keywords, as expected, has decreased from 50% to 36%. This is still way above average. In fact, it’s double the total average for all sites. However, Late Rooms does have a slightly higher proportion of Money keywords. What might be crucial here is Trivago’s lack of Brand links. At only 23%, it is extremely low and does point towards a heavily manipulated link profile. Add to that the excessive use of Compound keywords in their anchor text which, at 21%, is three times higher than anyone else, and you have a very vulnerable site. Let's look at some of the Money keyword links. The first one I find is a rating/recommendation widget with the Money keyword “Hotel in Kiev,” which links to Trivago's page for Kiev Hotels. It’s in grey text, so I highlighted it in yellow. It doesn’t look like a link at all. 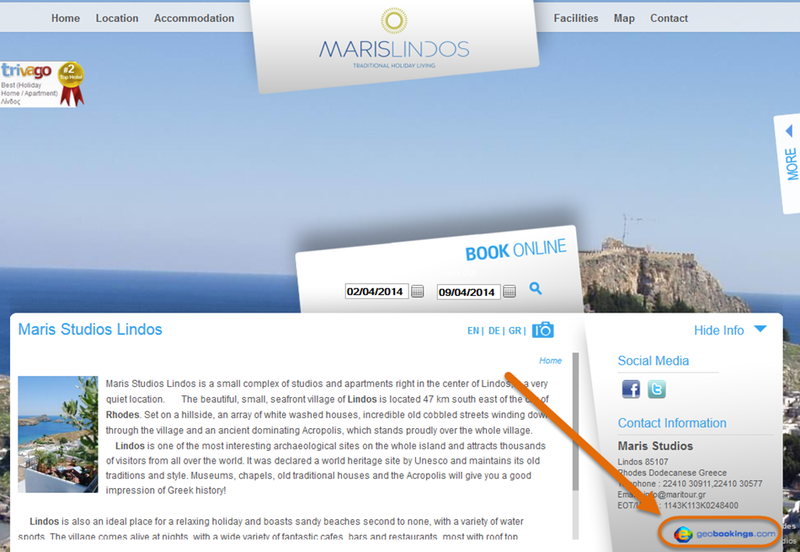 There are also two additional links to Trivago - both linking to the Hotel's page on their site. You can see many of Trivago’s Money and Compound keywords come from links within widgets for different audiences and purposes. 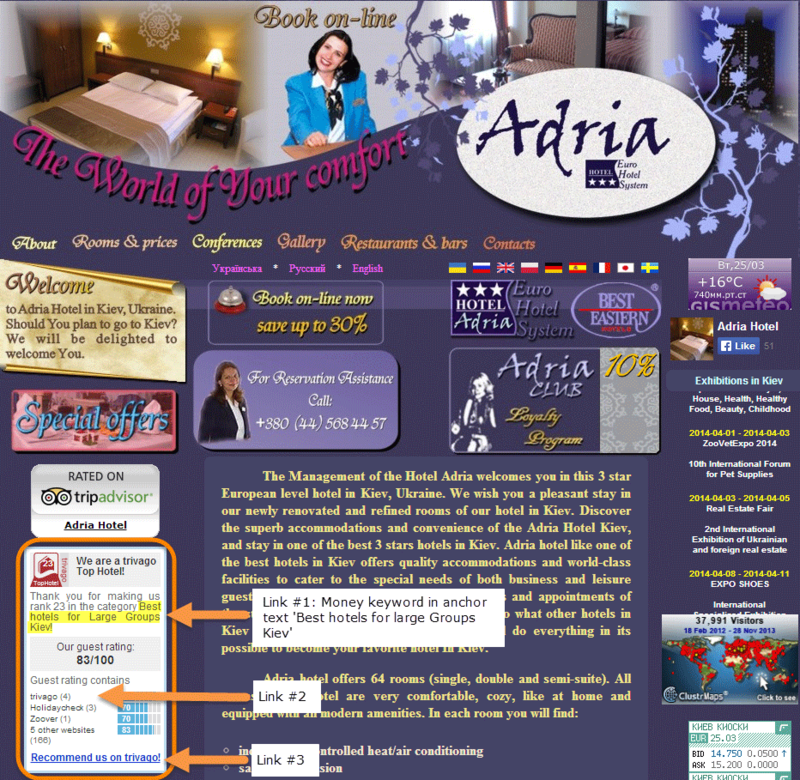 They’re for bloggers or destination site owners, as well as hotels themselves. Sometimes the hotel owners get an “Award” or “badge” they can show off. 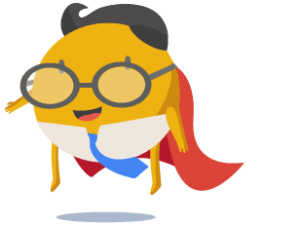 Sometimes it's just to say, “Hey, we're on Trivago.” They contain Money keywords in the anchor text and they appear on almost every page of the linking site, so you can imagine how the anchor text spread would look without the sitewide filter on. The Money keyword anchor text is usually in grey text and doesn't look clickable - that's why I've had to highlight where it is. If I were Google, I'd say they were trying to hide the Money keyword links from the webmasters adding the widgets onto their sites. Also, do they really need to put multiple links in the widget? So, has Trivago built too many links with over-optimized anchor text? Yes, without a doubt. Whichever way you look at it, Trivago stands out like a sore thumb here, and it could well explain the drop in visibility. 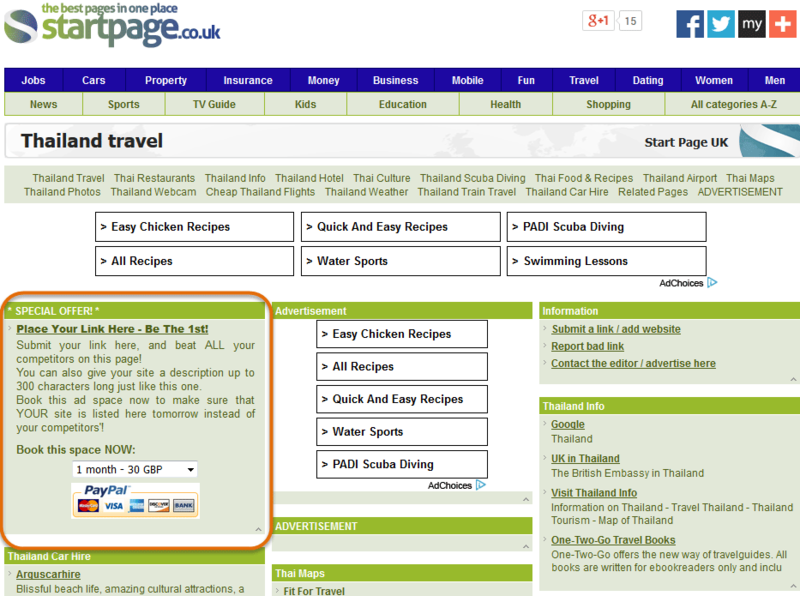 In the previous section, you will have seen that many of Trivago’s links come from widgets. I was mainly focusing on text links, but I also noticed many image links when I was looking through some of the data. This could be related to all those widgets, but I want to delve into this. 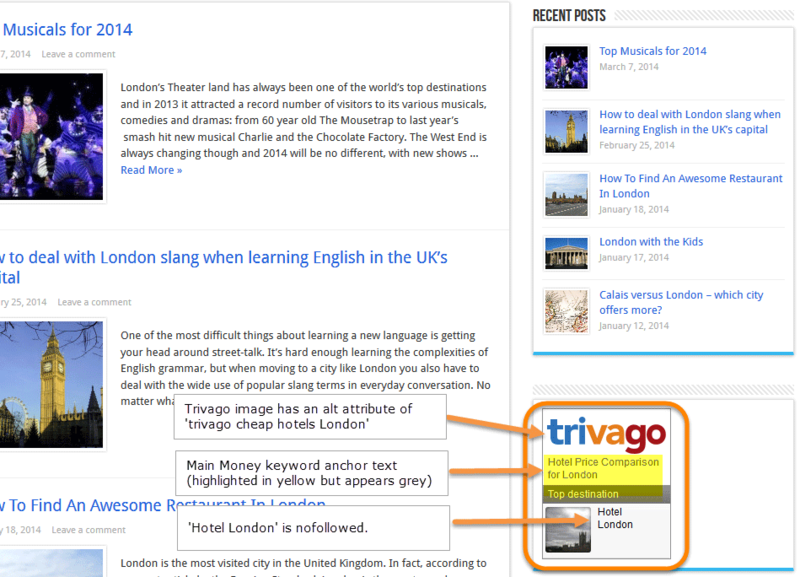 Does Trivago have a higher proportion of image links than its competitors? With 48% image links compared to the competitor average of 11%, Trivago has almost five times the average proportion. 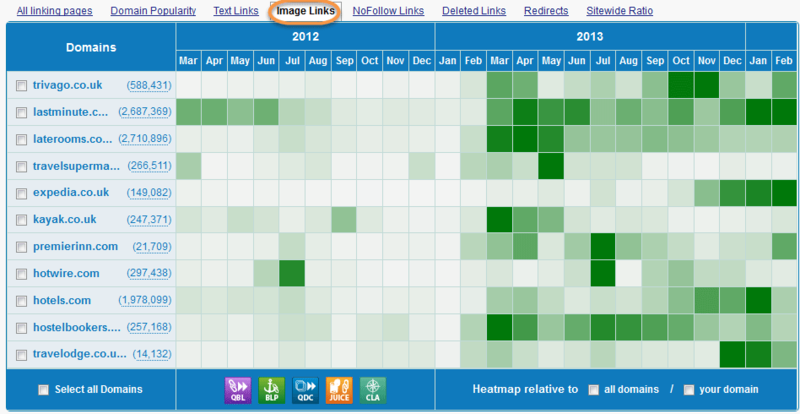 So, yes, it definitely does have a higher proportion of image links than its competitors. I'd say this was enough to be called aggressive. But let's look at a few to get an idea what they are. As I'm focusing on Trivago for this, I'm switching to the BLP report. It’s just a plain image link this time. Here’s another badge again with text link, too. I could go on and on! Suffice to say that with the Widgets and Badges, Trivago has been omnipresent. Was this too much? Matt Cutts has said, "I would not rely on widgets and infographics as your primary source of links." He also recommended adding a No Follow to those links, as the site owner may not realize they're giving the link when they just copy and paste the code for the widget. 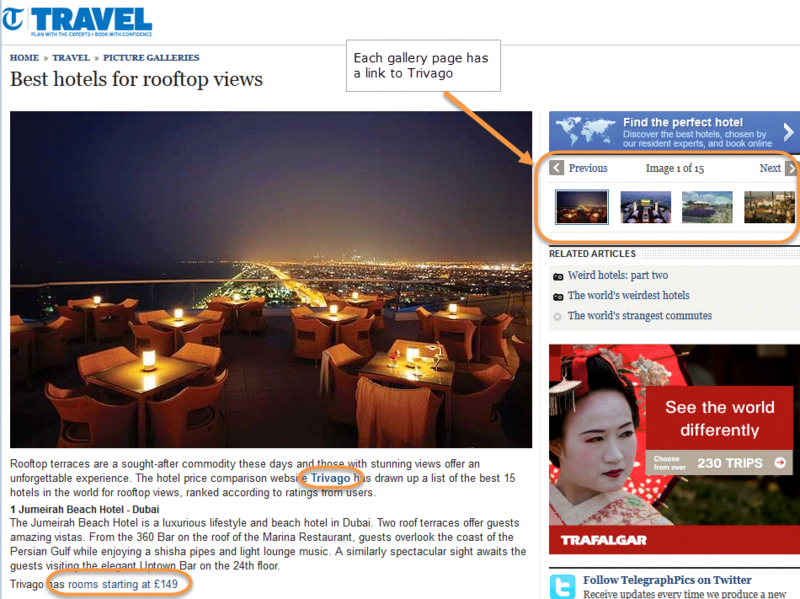 This may be why Trivago often made the links look like regular text, rather than clickable text. Thus, is it really an editorially given link - especially with the Money keyword anchor text? Based on this, I would suggest Trivago's reliance on widgets and badges is one of the main causes for their drop in visibility. But, before coming to any conclusions, I will check other areas that have affected sites in the past. Trivago is below average with No Follow links, which can indicate a less-than-natural profile. However, in this case, I don’t believe it is the main issue. 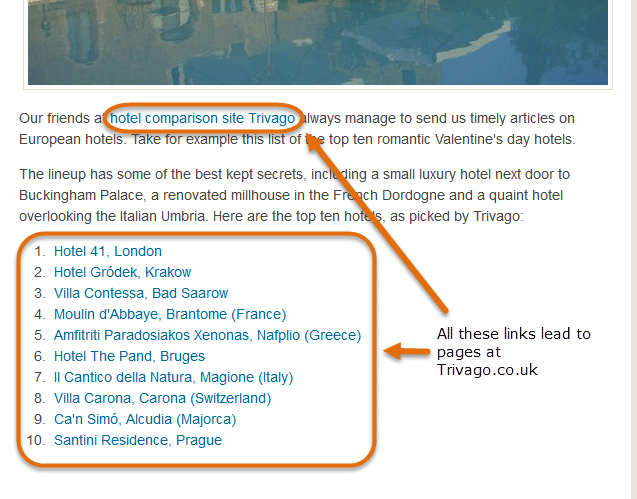 Well, Trivago is certainly struggling to keep up with its competitors with fewer “Paragraph” and “In Content” links. These are usually coveted editorial links that big brands tend to accumulate (unless they're paid advertorials). Trivago also has double the average proportion of sidebar links. 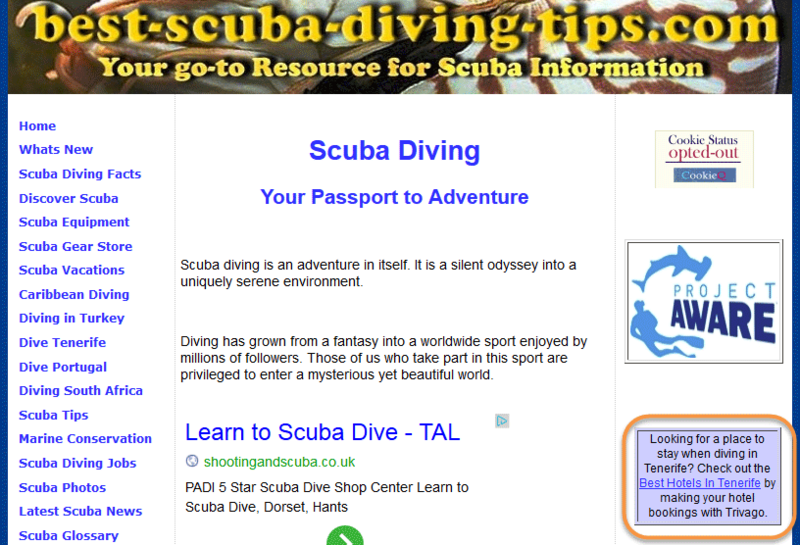 The footer and sidebar links are showing high. These are largely due to Trivago’s image/badge links from hotel websites, which we've covered. So, unnatural link locations? Yes! We're assuming Trivago.co.uk and its users will mainly be in the UK. Thus, they should be targeting customers in the UK. 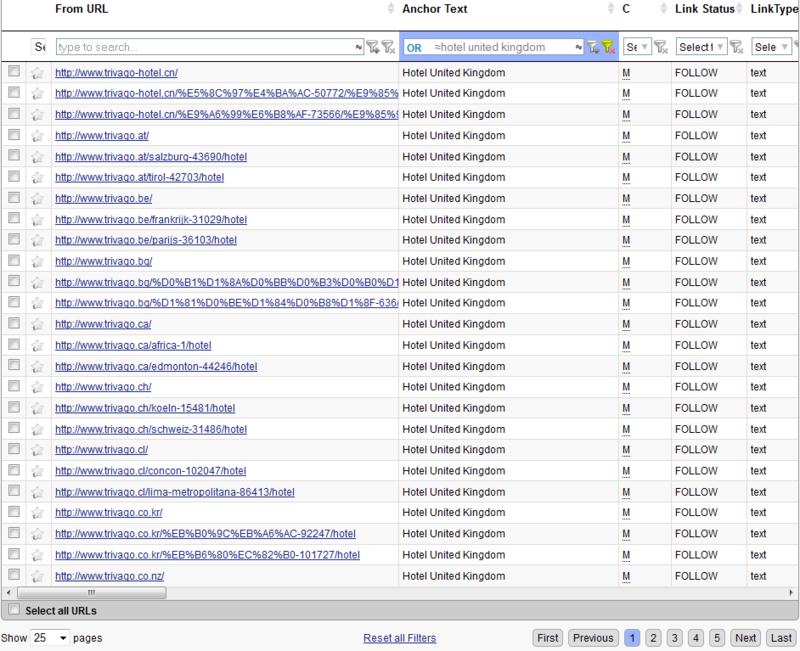 It makes sense then to get links from predominantly UK sites. 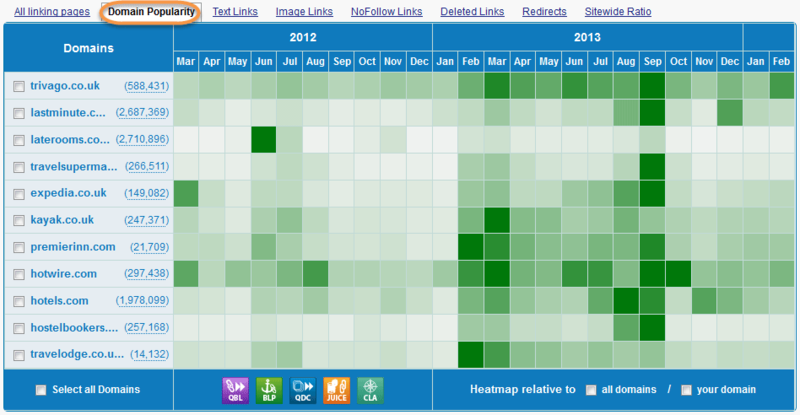 The chart above shows it is lacking links from UK-based sites. 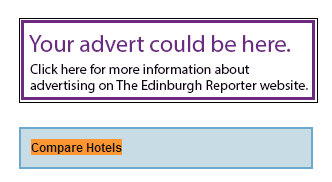 Perhaps this shows its reliance on the badges and widgets on hotel sites across the globe rather than on editorially given links from people who really recommend the site. Again, this is also unnatural. We could see from the Link Type screenshot earlier that there were no redirects, so we can rule this out. There are a couple of ways we can look for paid links. First, I'll see if they have any advertorial type links. We're in the BLP report to delve into the biggest pool of Trivago's links. I'll select “News” in the Site Type filter. Only 2 results - both from The graph. Is this a paid placement? There are no obvious signs, but that doesn't mean it's not a paid link. I looked at their other picture galleries and none that I found linked to the same site on every gallery page. It could be a paid link, but let's look for more to see if we can find anything more definitive. How do we look for more paid links? Well, I'm going to remove “News” from the Site Type and select the “Money” keyword classification with a Link Location of “Header” or “In Content,” then sort by LRT Trust (High to Low). Oh, and don't forget to select “Follow” in the Link Status filter because No Followed paid links shouldn't be a problem. 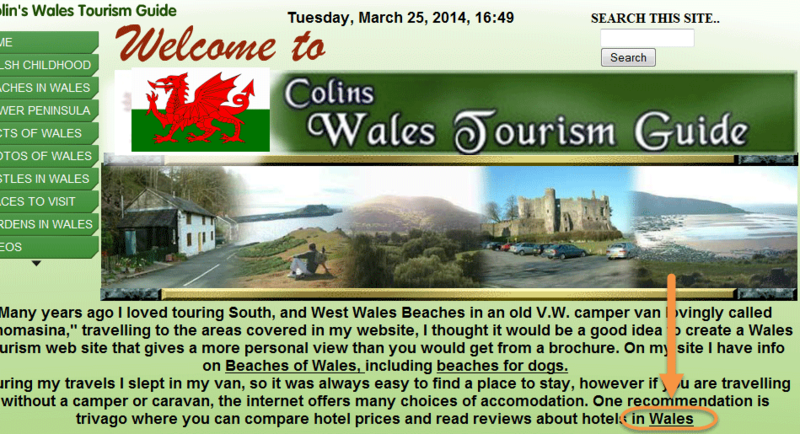 Now we know “Colin’s Wales Tourism Guide” accepts paid links. Without a sign saying, “This is a paid link,” this is as close as it gets to a paid link, is it not? There is only one, in-content link on this page (the homepage): “compare price on hotels in Wales.” Guess where it links to. You got it: Trivago! Very likely it’s a paid link. They refer to the link as their “travel partners.” Partners is a term often used instead of “sponsors” or “advertisements.” Even the content around the link is almost admitting it’s a paid link. You can also see at the bottom right some links containing Money keywords that look like they could also be paid links for other sites. Their “highly flexible advertising arrangements” could include paid, in-content links with specified anchor text. This screams “paid link” to me. It just looks like and reads like an ad. 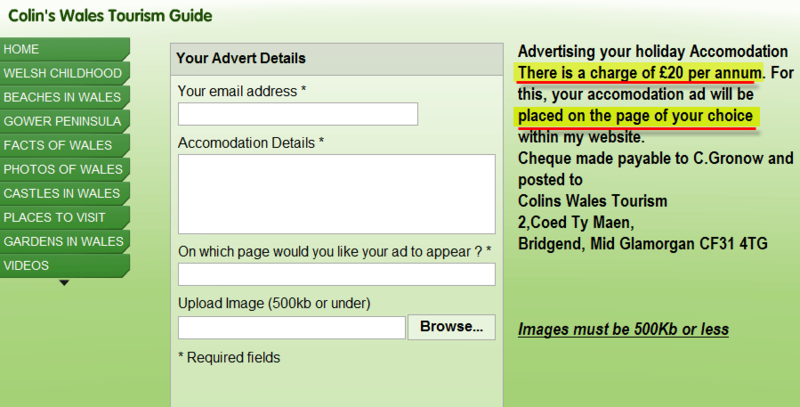 So, it does appear that Trivago has also engaged in paid links ☹. Has Trivago been building links at an unnatural rate? Let's see with the Competitive Link Velocity tool. There is very little here to say if Trivago has aggressively built links compared with their competitors, so I would rule this out. Has Trivago built too many low quality, spammy links that would give them a high Link Detox Risk? I have a suspicion that it won't be high, due to having so few links from sites with a low LRT Trust or poor sites in general as we saw earlier. Let's see. After running Link Detox Genesis, I classified the keywords to 91% for a more accurate result (a minimum of 80% is recommended). I then re-processed the report. I get the following result. We get a Moderate Risk result for Trivago. At first, this doesn’t seem too bad. But let’s look at the summary. 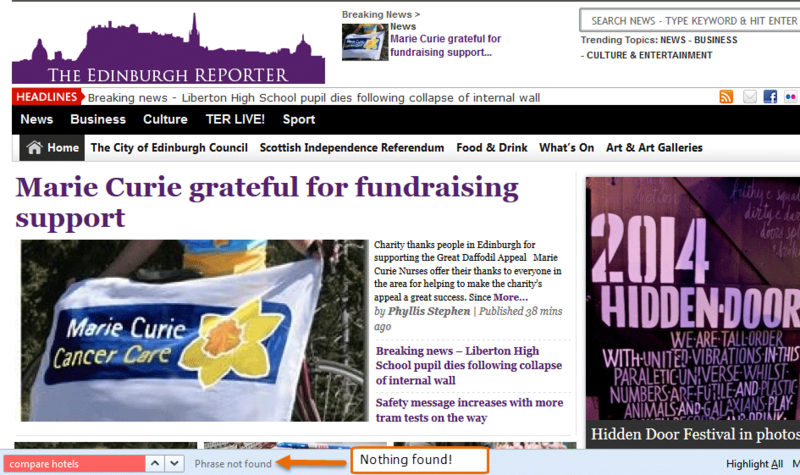 Let’s look at one of these pages: http://www.theedinburghreporter.co.uk/. 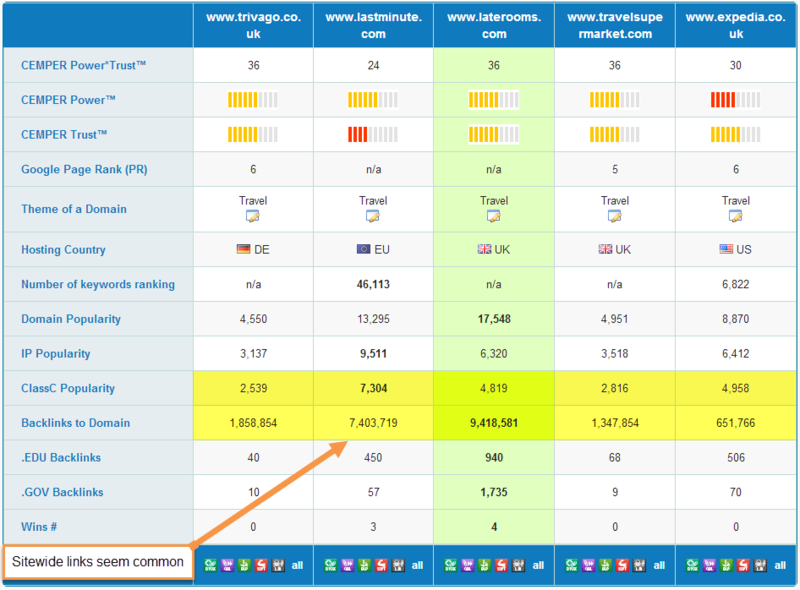 According to the Link Detox report, Trivago has a link with the anchor text “compare hotels” (a Money keyword). It might be hidden behind a widget, like we found earlier. Could this be it? We have a followed link with a Money keyword that is hidden to most people, including the owners of the website. Is this natural? Certainly not! That looks like a guest post, or even an advertorial, both of which we know from previous case studies can be harmful. Those are just 2 of the 53 links marked as “Toxic” in this report. Trivago should check these as a matter of priority. I'll now look at the Detox Rules Breakdown to see what's going on. The top four rules in the breakdown are SUSP31, SUSP23, SUSP22 and SUSP7. Considering our work so far, it’s not a surprise to see SUSP31 (suspicious anchor text placement) at the top. However, the next three rules should be investigated as they account for 38.3% of links and relate to link networks. Let’s investigate them by selecting SUSP22, SUSP23 and SUSP7 in the “Rules” dropdown box. 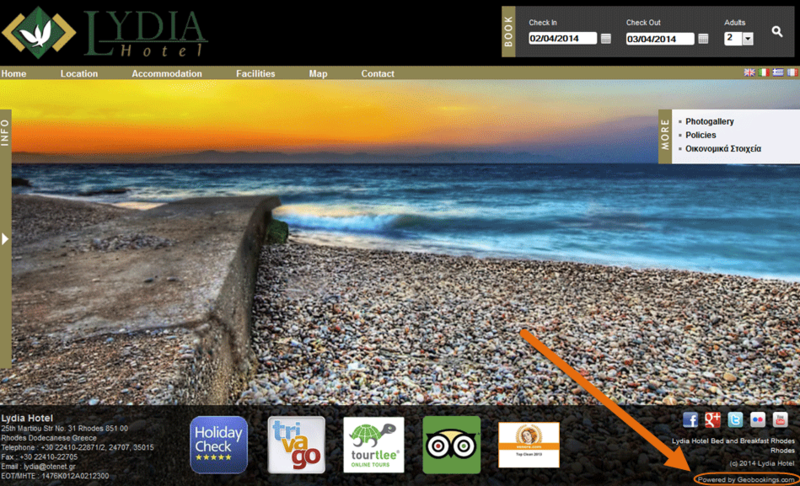 With these filters selected, I spotted a few links from Trivago’s other international sites. When I filtered further, I found 192 of these SUSP23, SUSP22 and SUSP7 links are from Trivago’s other country specific sites. We already know about this from our earlier work. I could rate these as “Good” links and reprocess the report using the new “Reprocess DTOX Rules” function. However, I would be happier doing this if Trivago hadn’t used a Money keyword in the anchor text. If they had used “Trivago UK” for example, that would be much more acceptable. Notice the “Special Offer” to add your link!? This is essentially a paid or reciprocal link directory. Trivago has links from 35 different page.co.uk subdomains. They’re not natural and definitely not needed. All these domains sites are identical - same content, same photos, just slightly different domain names. Trivago certainly wouldn't want to appear on these duplicate sites and should take action to remove them. Also, under SUSP7 are many more sites. Let's look at a few of the neighborhood domains to see if we can find out whether it really is a link network. This has the same layout as the first screenshot. but hotel and the content (photos and text) is different. All these sites are powered by the same platform: geobookings.com. There are many more exactly the same as this. Geobookings most likely hosts the sites themselves on one IP address. This doesn't worry me because it is perfectly normal that a lot of hotel websites will be built with a similar platform, and so there are groups of hotels with the same IP address. However, I can see that it looks like a link network. It would be in Trivago's interest not to be so free with their followed widgets and banners. 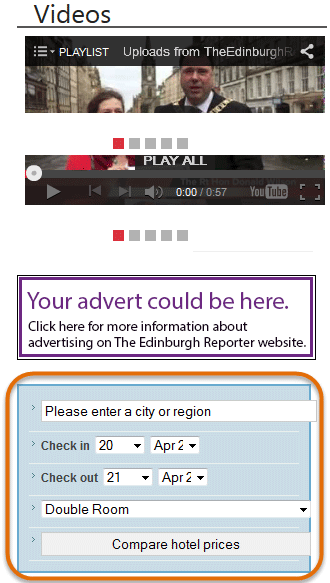 The look of the link network in this market is a hazard that comes back to having a widget on so many hotel websites. 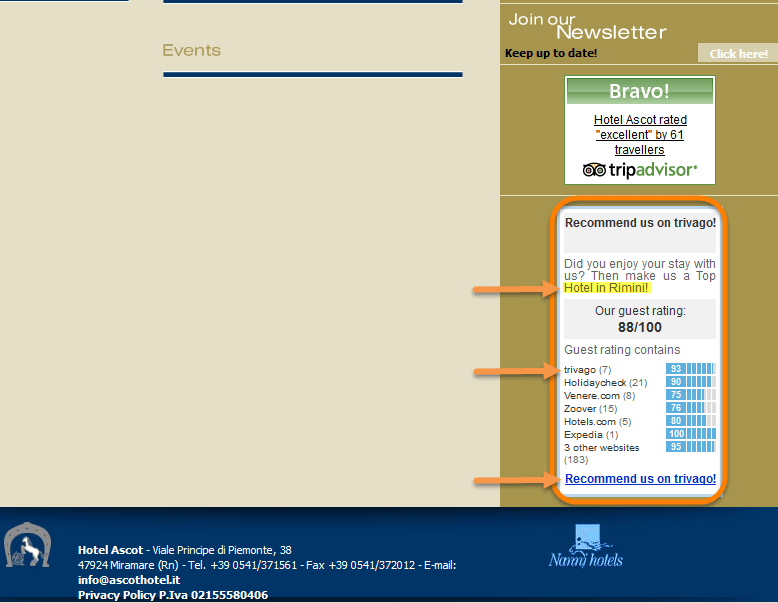 In this case, Trivago has links from many hotel websites with the same IP address. As you can see from the screenshot, Trivago.co.uk actually has a lower risk than the average competitor. As with the Link Detox result, I’m not surprised. The majority of sites Trivago has obtained links from aren’t “spammy” or toxic sites themselves. In fact, as we saw earlier, many of the sites have pretty good Power*Trust. Were these all factors in Trivago's horrible loss of visibility? To me, the biggest factor is the excessive reliance on widgets, banners and image links with aggressive use of targeted anchor text. What Trivago seems to have done is avoid or remove the presence of really spammy, low quality links (directories, article sites etc.) that many other sites still have in their link profiles. This mainly leaves the stronger domains, shown by Trivago's higher proportion of links from higher Power*Trust sites. These were what I would call “weak/strong” links. They’re strong due to the domain, but weak because they were obviously manipulated by the use of the widget. “Weak strong” links are like plastic: strong until it meets a flame. Google started a bonfire and Trivago’s plastic links have melted away! This, combined with the additional paid links, was surely enough to have been hit earlier. Trivago now needs to start thinking outside the widget box! 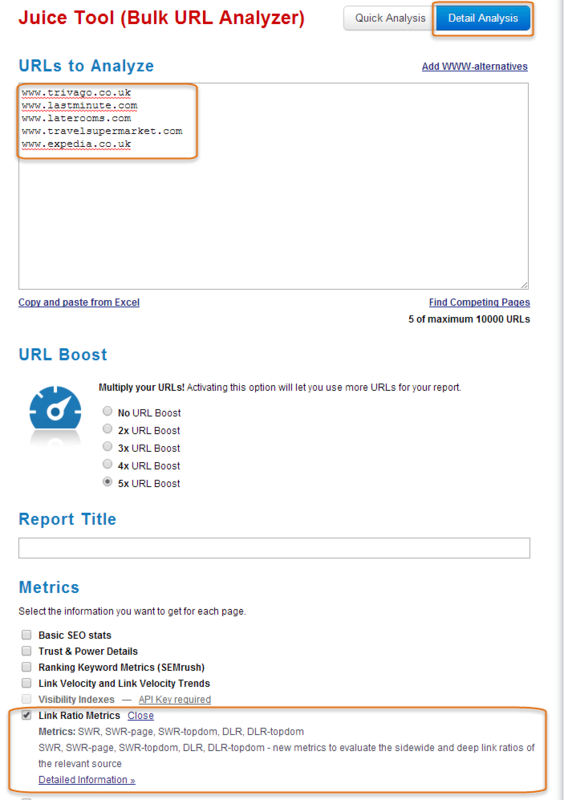 This case study was written by Alex King, Owner and Founder of SE Workbench, and proud user of LinkResearchTools and Link Detox. This analysis was conducted and written by our new LRT Certified Professional, Alex King. Alex demonstrated his expertise in doing a SEO link audit on why Trivago lost 95% of their search visibility. He methodically and carefully investigated the possible causes and isolated the penalized tactics in this case study. 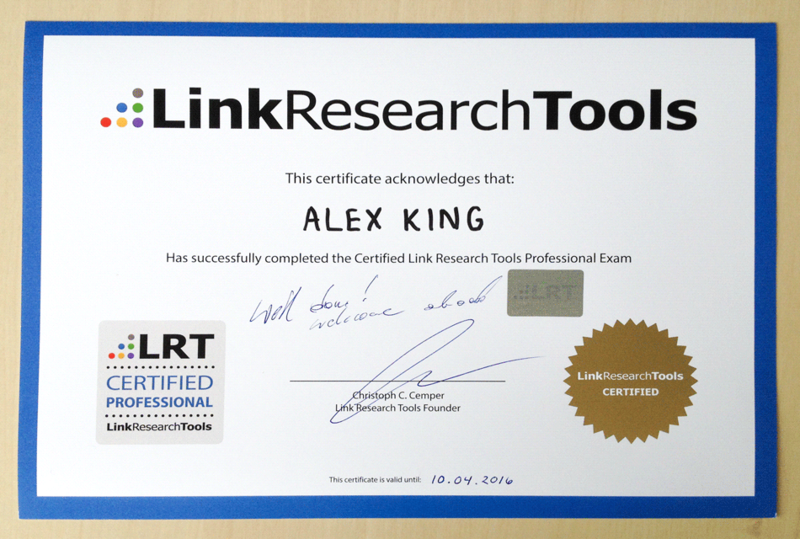 Therefore, I’m very happy to certify Alex King as the latest LRT Certified Professional by approving and publishing his research on our site. I look forward to his future work, and personally recommend working with Alex King whenever you get the opportunity!